Coolplus® modified polyester fibre draws moisture away from skin to keep you cool and dry. Slimmer f..
Textured fabric is moisture wicking allowing you to stay cool, dry and comfortable. 1x1 flat knit co..
Textured piqué fabric. Wicking fabric keeps you dry and comfortable. Flat knit collar. Taped neck. T..
Textured fabric is moisture wicking allowing you to stay cool, dry and comfortable. 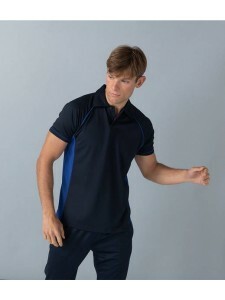 Self fabric coll..
Coolplus® modified polyester fibre draws moisture away from skin to keep you cool and dry. Self fabr..
Cool-Dry© waffle knit mesh panels. Fabric is moisture wicking and quick drying. 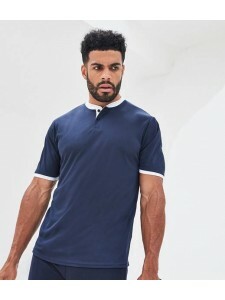 Three self colour bu..
Moisture wicking fabric. Quick drying. Shaped fit. Shorter collar. Three button placket. Bound cuffs..
Moisture wicking Isovent fabric. Anti-bacterial. Quick drying. Narrow ribbed collar. Taped neck. Thr..
Breathable fabric. Contrasting details on neck tape, placket and side vents. Three pearlised button ..
Neoteric™ textured fabric with wickability and quick drying properties. UPF 30+ UV protection. Stand..
Neoteric™ textured fabric with inherent wickability. UPF 30+ UV protection. Raglan sleeves. Self fab..